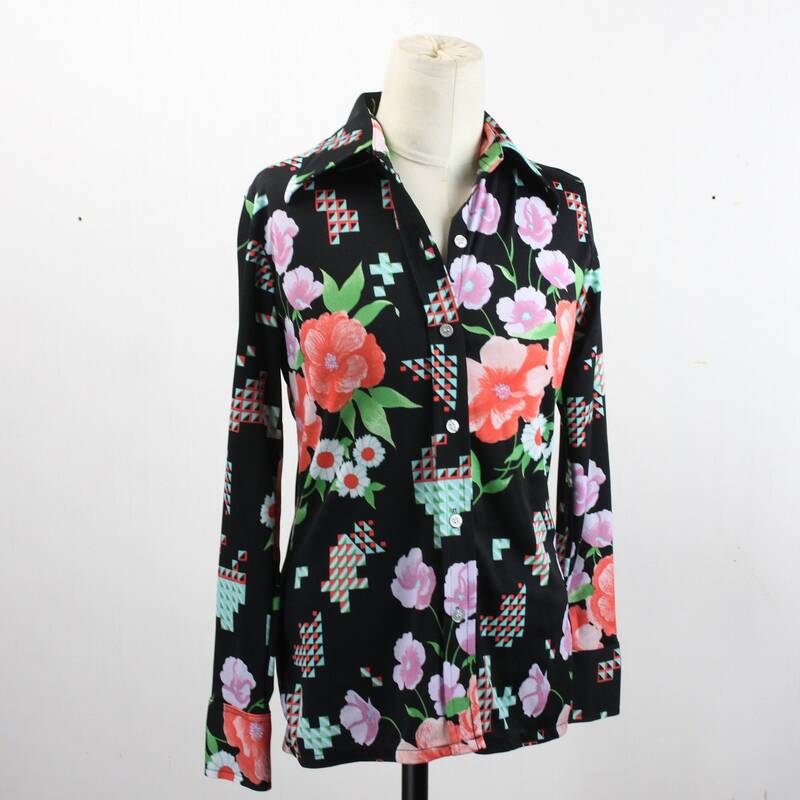 This vintage blouse by Andrew Saint John is in stunning condition! 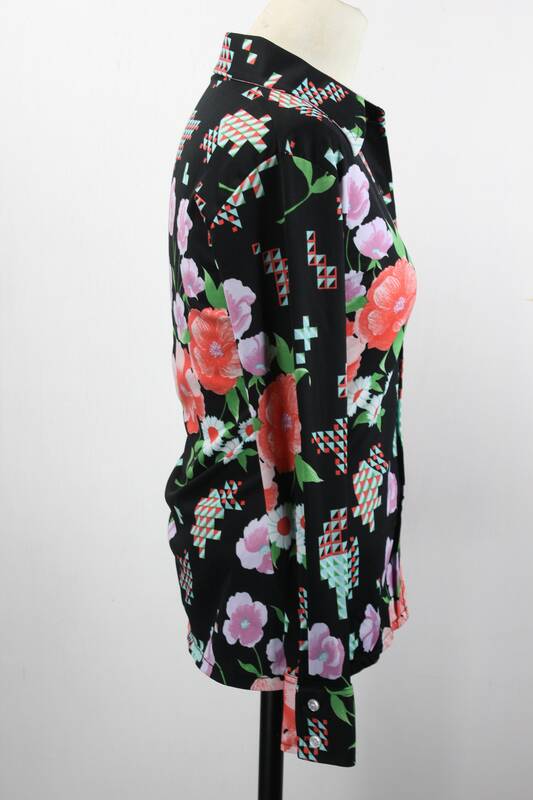 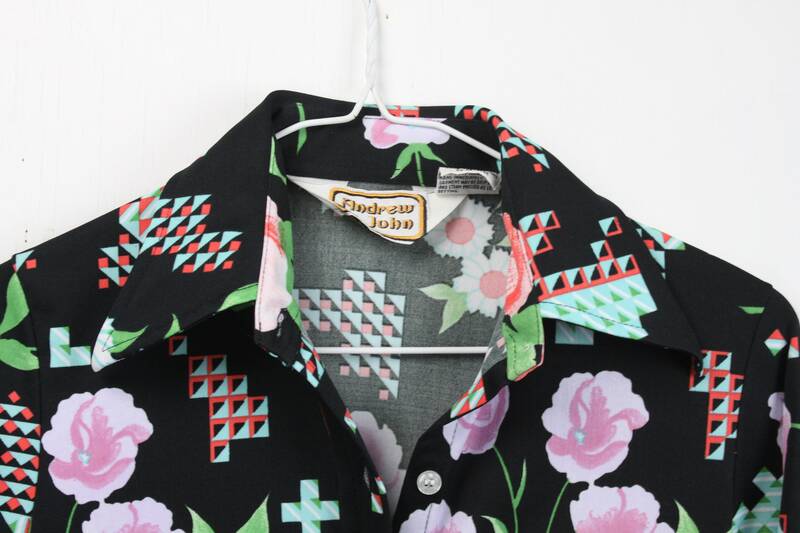 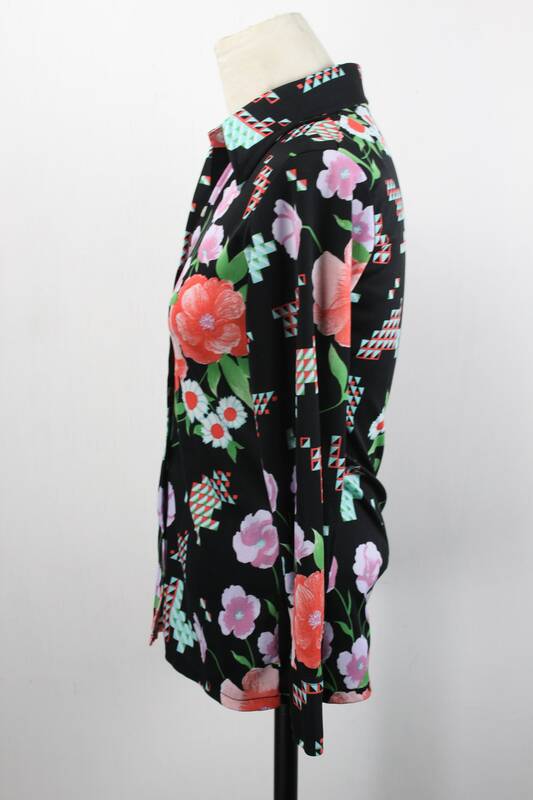 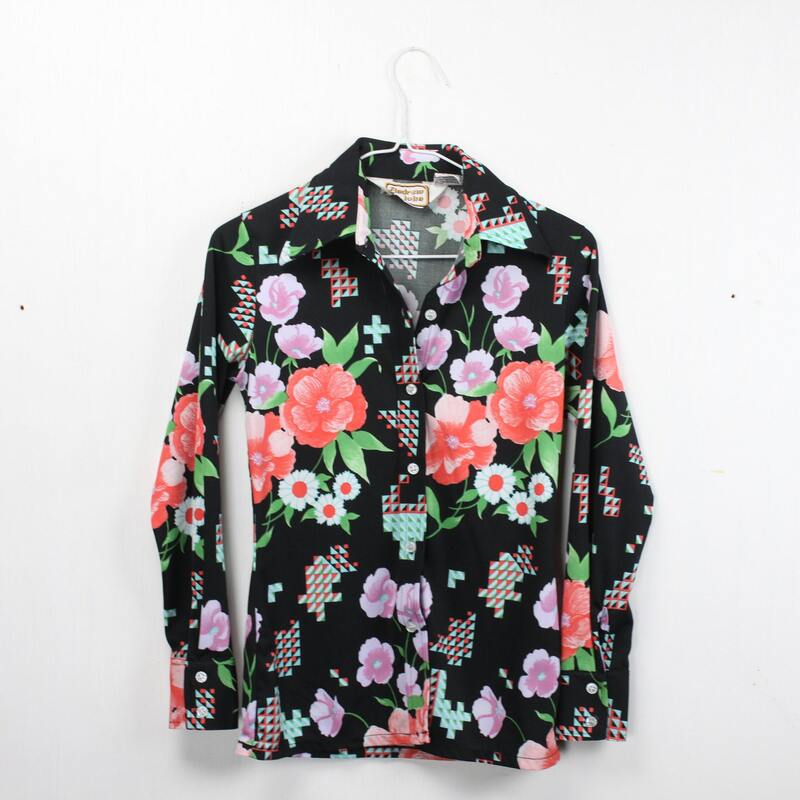 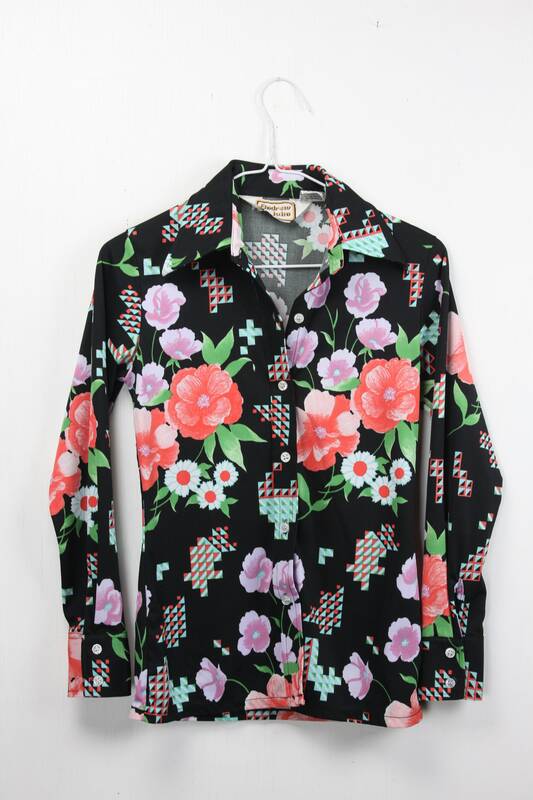 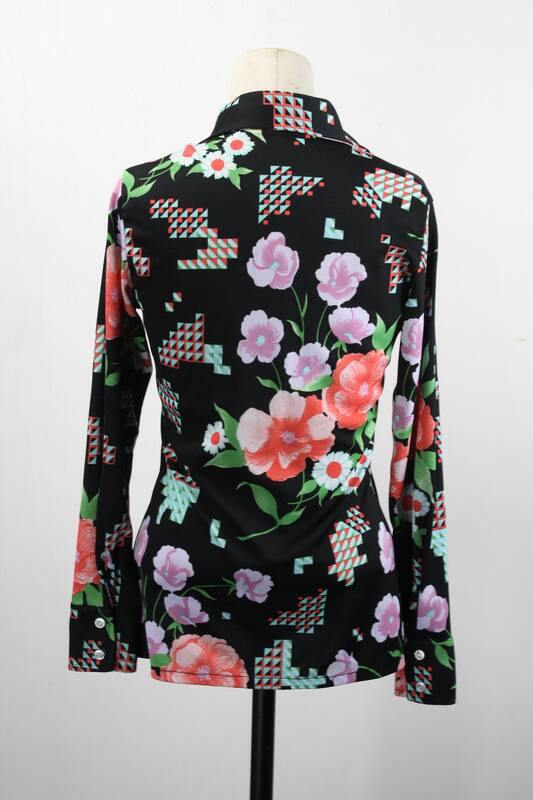 The blouse features an amazing combination of floral & geometric patterns laid on a black field. 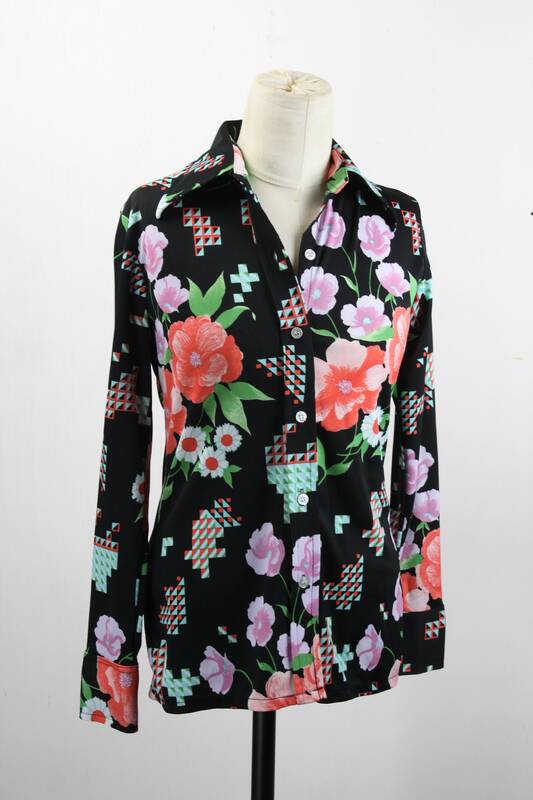 The blouse offers a splash of playful color with the classic appeal of a black blouse! 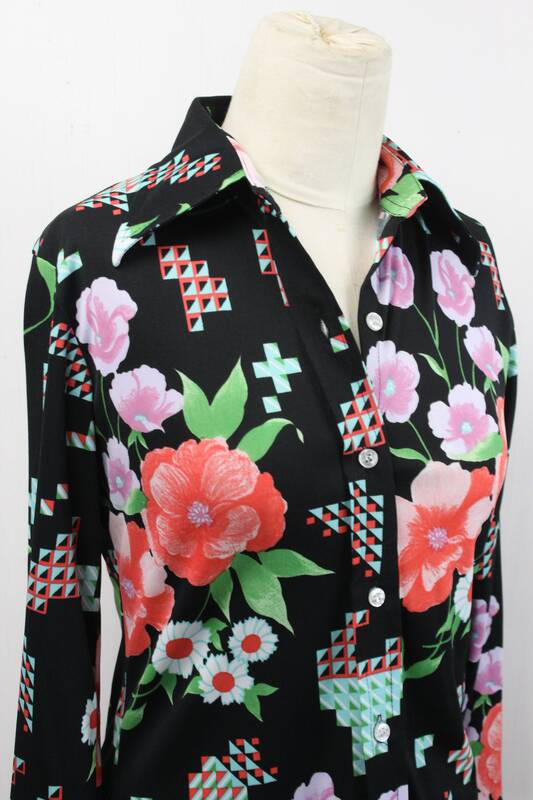 This shirt has a 6 button front closure, butterfly collar, double knit fabric, fitted cut and two button cuffs. 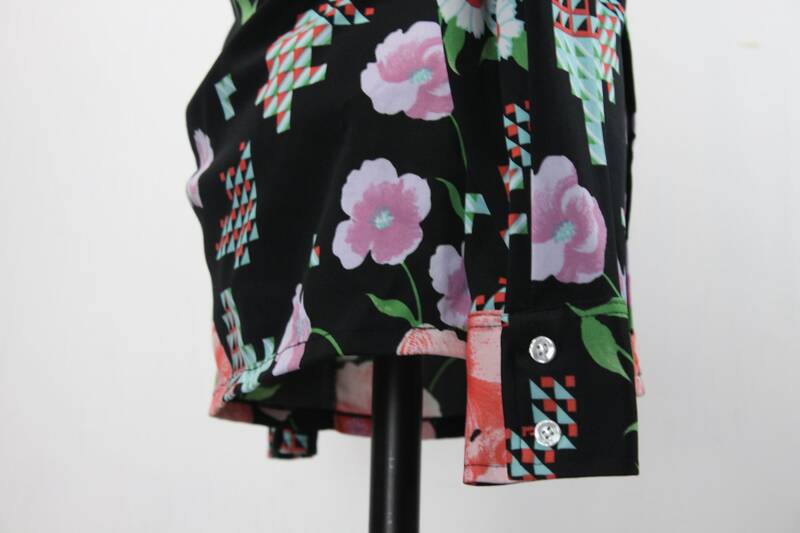 - Underarm to hem: 16"